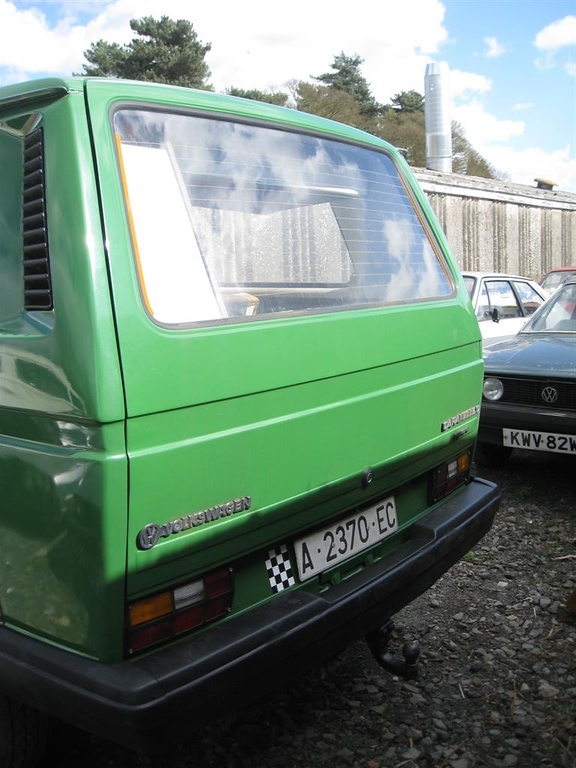 I like the green lettering on the spare wheel cover. 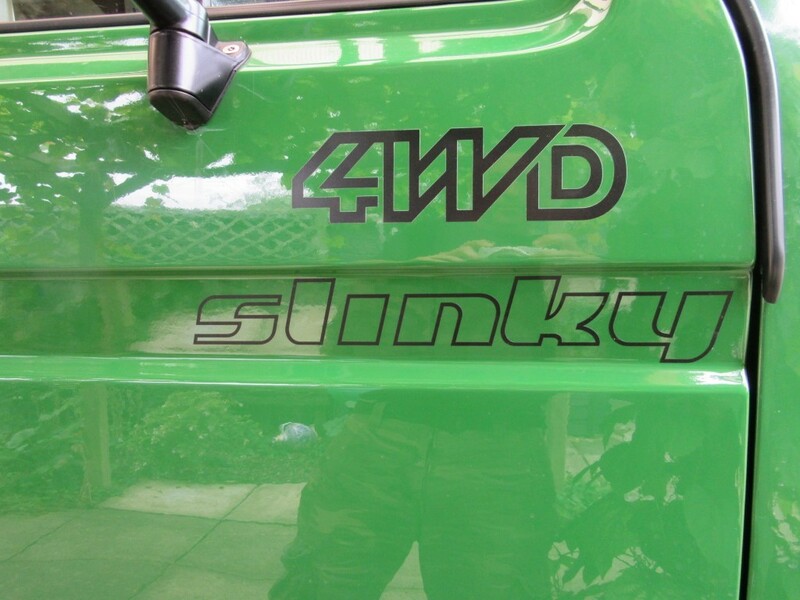 Bigjcc55 wrote: I like the green lettering on the spare wheel cover. 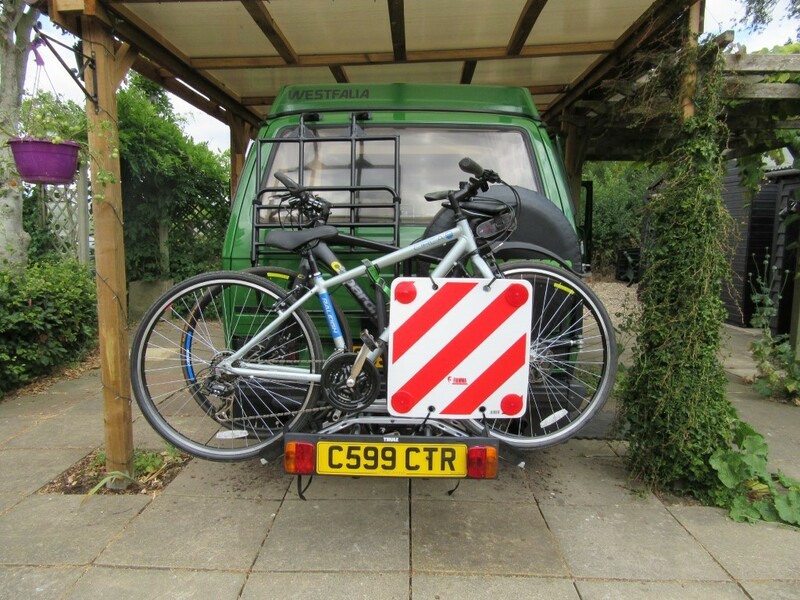 So I've been getting the van ready for our French trip, I had planned to use the Pendal bike rack I had but I didn't fancy lugging a separate light board. I managed to find a Thule one in the nick of time, both racks still allow me to use the Paulchen shelf. 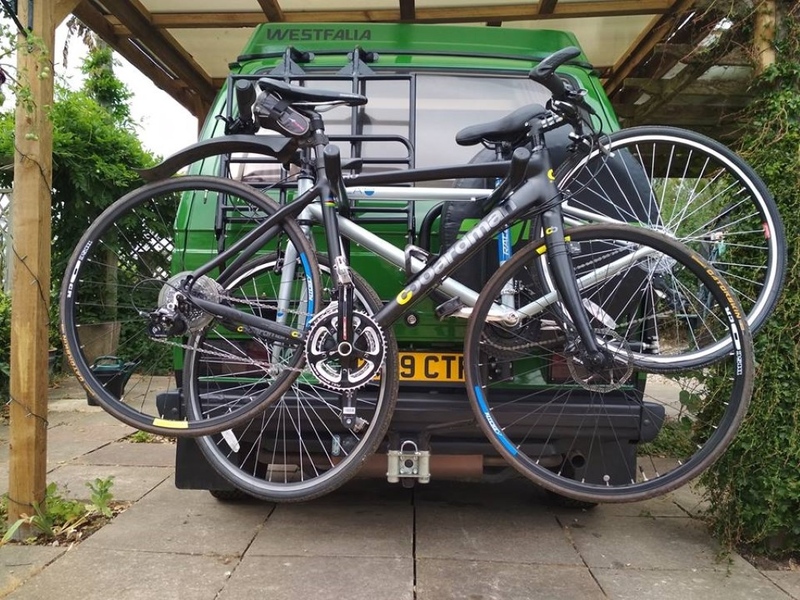 I can get one bike comfortably on the Paulchen and the front wheel wedges behind the spare wheel without touching the tailgate, when I modify the trombones I will be able to get both bikes on even with the spare, an autumn job when I get around to finding a good second-hand welder. 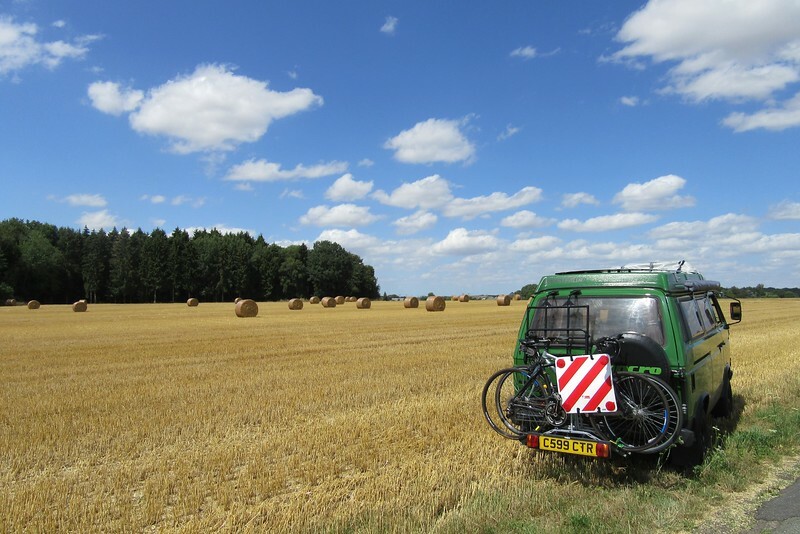 So not long back from a 10 day tour of France, it has been the first chance to really test the new equipment in the van and see how well it works. Secondly the solar (2 x 100w, CTEK D250S & 100AH gel deep cycle leisure battery). We left on 100% and returned on 100% with no need for hook up. We had phones and a laptop to charge daily, the usual lights and tunes plus the fridge was working overtime on the hot days. 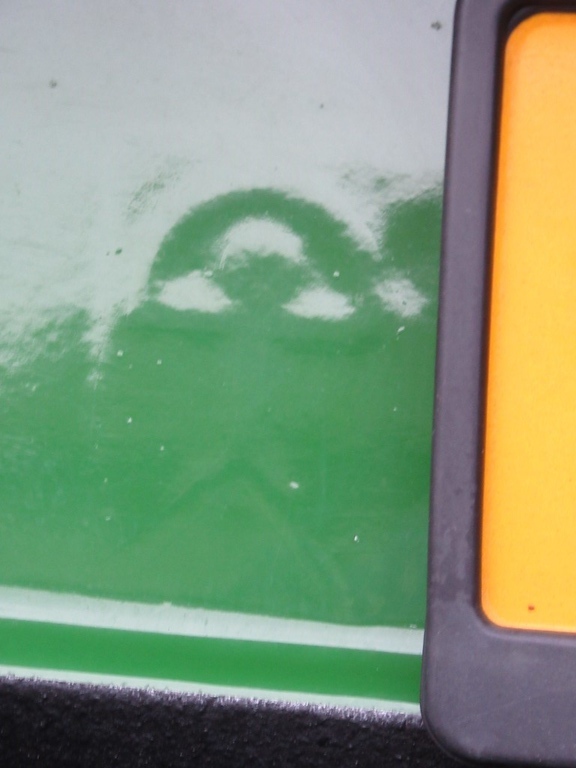 We were parked up for three days and the lowest the battery got to was 68%, mainly due to the fridge been set to -3 in the day & -1 at night, and the outside temp been set to 37. The only problem I had with a Waeco CF110 in hot weather was it continually cycling on/off all night and keeping us awake, whilst trying to freeze all the food regardless of the temp setting! Eventually diagnosed a failed thermocouple, so always carry a spare and know how to change it! after such a thorough rebuild as well.. If it was me, anxiety would be just about turning into slightly confident by about now. Wishing you all the joy you deserve after putting so much into your van! They are good thanks, just fitted swivels in the camper. Drove the long haul from West Cornwall to Edinburgh in the pickup. Lovely drive, fast and smooth, remarkably only about £140 in petrol, and no leaks. Its getting the heart transplant anyway.. Someone is sure to want a good WBX. Happy to have left it with Russel for his masterful tinkerings. Not been posting on this thread for a while as I've been busy with other stuff....also I have an issue with the engine which had left me feeling fed up with the old girl for a while. I'm using about 1L of oil for every 200 miles, tried a few things but its most likely the rings. The engine was an unknown so its coming out this weekend to any going off for a strip down, I found an excellent scooby guru who is going to work his magic. I had planned on sourcing a Subaru to drive around and prove but this option makes a lot more sense. More info to follow when its done. 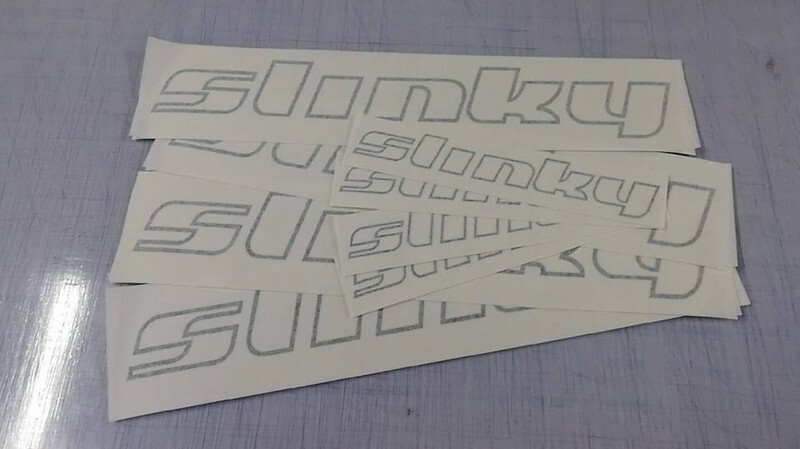 I've had a few Slinky decals made up and fitted too....a great service from Sticker Pig. I can only see the image of the man with the slinky in the last two pictures! rollercoaster wrote: I can only see the image of the man with the slinky in the last two pictures! 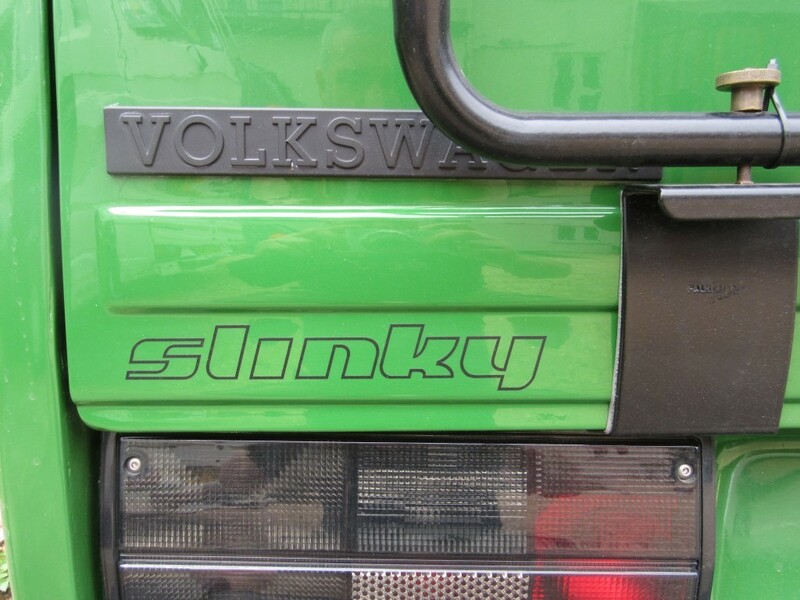 I like the name slinky. I can't write the name of our van as offensive words are not allowed on the forum! Ha ha! Sorry to hear about the engine... Hope it gets fixed!